Ask the Doctor: What is Botox? How Does it Work? It seems like almost every day there is something in the news about the wrinkle remover called Botox. So just what exactly is Botox? Perhaps you have heard of botulism, a type of food poisoning? Well, Botox is the same toxin as the one that causes botulism. Specifically, Botox is derived from a toxin produced by a type of bacteria named Clostridium Botulinum. That may seem scary, but the good news is that in recent years doctors have discovered that Botox can be used in a relatively safe way to treat a variety of health problems. One of the most popular Botox treatments is injections to help remove or lessen facial wrinkles, albeit on a temporary basis. Botox is used by many celebrities in Hollywood these days. Nicole Kidman and Kim Kardashian have reportedly both admitted to trying Botox. By blocking certain nerves, Botox injections weaken or paralyze specific muscles. Injections of Botox will typically last for about three months, so if you want to continue the skin-smoothing effects, you will need to have another round of injections. 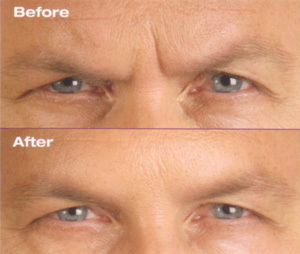 Many years of frowning, squinting and general aging can leave deep wrinkles around the eyes and across the forehead. During an office visit, your dermatologist will inject Botox to lessen these wrinkles. 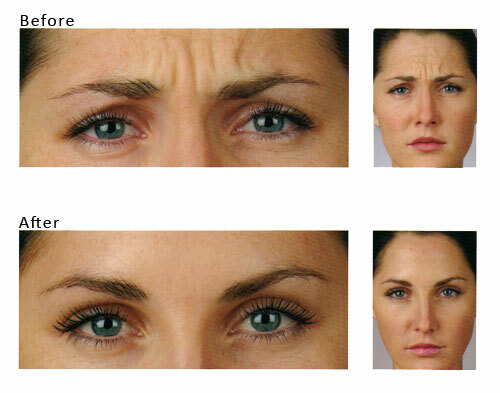 Many people carry sad or angry expressions on their faces that can be corrected through safe use of Botox. During treatment, very low doses of BOTOX® Cosmetic are administered by means of a few tiny injections directly into the facial muscles that are the cause of wrinkles and fine lines. The treatment is usually finished within about ten minutes, and no further recovery time is required. 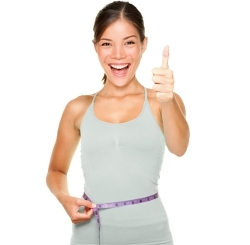 Within a few days, most people see an improvement in their appearance that can last up to four months. After a muscle has been relaxed with Botox, it can no longer move like it did before. Over a period of weeks, stubborn facial lines gradually disappear from lack of use, and new wrinkle lines are less likely to form. Some side effects of Botox are headache, nausea and cold or flu-like symptoms. Some people also complain of pain where the needles were inserted, although this usually goes away after several days. Drooping eyelids on a temporary basis may also occur as a side effect of Botox. Because of potential risk to the baby, pregnant women or those who are breast-feeding should not receive Botox treatments. Individuals with certain neuromuscular disorders like ALS, myasthenia gravis, or Lambert-Eaton syndrome may be at an increased risk of serious side effects from Botox. Botox prices are determined by the unit, with the average unit costing around $15. A typical treatment with Botox is 20 to 40 units, which means you will pay $300 to $600 for one session. The cost of Botox is based on a variety of factors. For example, Botox is generally more expensive in clinics located in large urban areas. Most clinics charge for Botox according to area of the face to be treated. For example, frown lines are deemed one area, the forehead a second area and crow’s feet a third area. Treating more than one area usually results in a discounted rate overall. Many doctors also charge more for Botox for men because males have stronger facial muscles and therefore need higher doses of Botox to see satisfactory results. In the USA the average price for having three areas done ranges from as low as $600 to over $1,000, depending on the doctor and his location. At the end of the day, the cost of Botox can vary widely depending on where you live and the qualifications and reputation of the doctor you have chosen. It’s possible to find a cheap Botox treatments, but be very careful because the dermatologist’s skill is crucial to a satisfactory result. The old saying that “you get what you pay for,” is also true for finding the best Botox doctors. Many people complain of a “perpetual frown” or other angry expression and want to do something about it. Botox, when injected by an experienced doctor, can often change a person’s appearance for the better. After using Botox, there is often dramatic improvement and tightening of the forehead and upper eyelids, as well as a smoothing and freshening of wrinkles. The result is a healthy, refreshed and more youthful appearance. For best results, Botox should be combined with other cosmetic procedures like dermal fillers, laser resurfacing and chemical peels. Botox takes effect within one week after treatment and usually lasts about three months. The muscles gradually return to their former state, which means Botox injections must be repeated a few times a year in order to maintain a wrinkle-free appearance. You are more likely to stick with a diet and weight loss plan if you start out with something small like buying a pair of walking shoes or a pedometer.